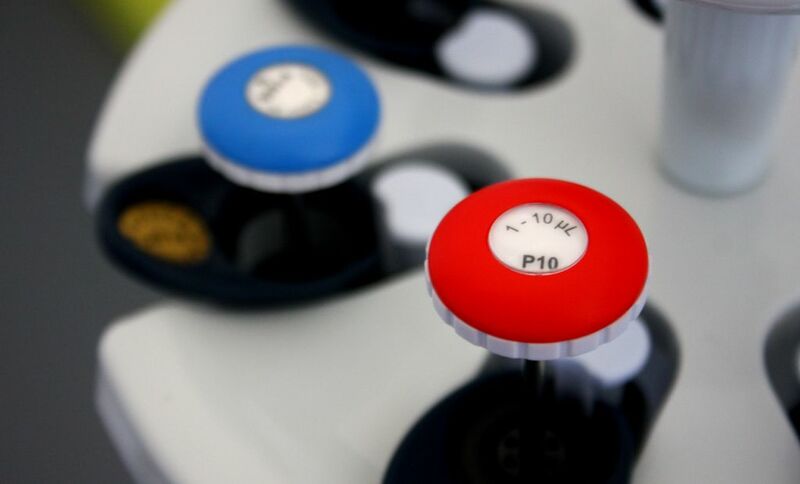 To assess the antitumor efficacy of bispecific antibodies targeting immune cells and tumour cells, we re-infuse human PBMC (Peripheral Blood Mononuclear Cells) or purified populations in immunodeficient mice implanted with a tumour model, and administer the treatment. Tumour growth is then evaluated in the different groups. 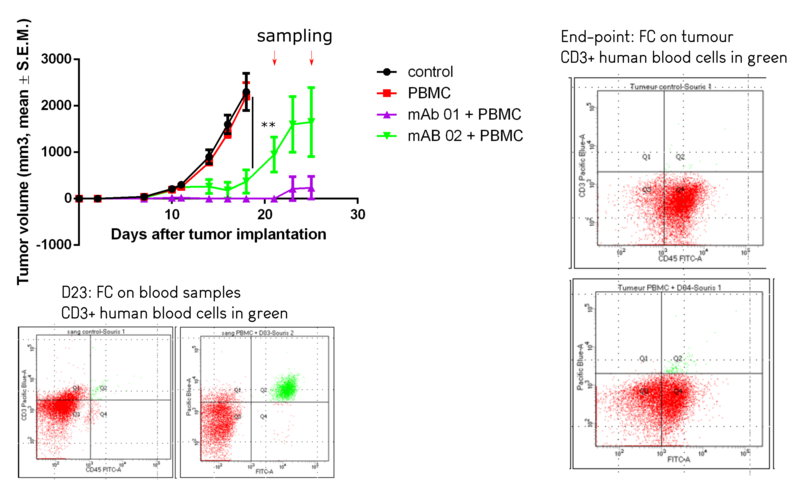 The proliferation and activation status of human cells can be assessed at various time points by flow cytometry, and their presence in the tumour micro environment can be quantified at end points.